Linda Mayfield-Hayes is a self-published, African American poetess, and mother of one. She was born and raised in Brooklyn, New York, but currently resides in Delaware with her son and husband Ronald Salter. Linda is a graduate of Kingsborough Community College with an Associates degree in Data Processing. She is the author of, "Life is a Roller Coaster", a collection of poems depicting life's ups and downs, and "Afroetry" Afrocentric poetry that educates and motivates. She began writing poetry in her teens, but soon gave it up. Now, over 30 years later, she has taken it up again. 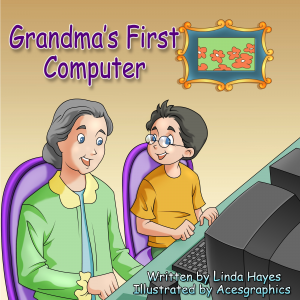 She has recently written her debut children's book entitled, "Grandma's First Computer".